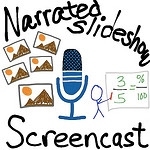 Learn how to create and share screencasts and narrated slideshows online using an iPad including recorded audio synchronized to selected photographs or images. We’ll view different examples of student-created narrated slideshows using the iPad and review effective processes for facilitating student narrated slideshows. Photos are the basic building blogs / basic ingredients of digital media projects. Every teacher needs a website (Flickr & Google Photos are free) to upload and share photos of student work in class. With your team, in 20 minutes, build the longest cantilever (as measured in inches from the end of the table) using only the washers and paint sticks provided. Take at least 5 pictures of your work and your workers, be sure to include your first measured attempt. Upload your teams' best images of both successes and non-successes to a Flickr Account. 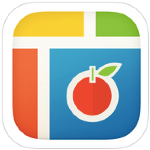 Use Pic Collage for Kids to create a photo collage of your school pictures. Then reuse and include different pictures to tell a different message or story. Press the RED RECORD button. When ready, press START to begin recording. ONLY record 30-60 seconds! 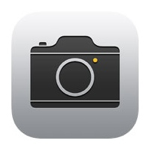 Tap the CAMERA icon to add a photo. Pinch to zoom / crop as desired. Tap to CHANGE TITLE. Enter the desired title. Tap SAVE IN PHOTO ALBUM, then tap SAVE. Flick to select the desired TEMPLATE. Tap CONTINUE. Open PHOTOS, find your video and play/listen to it. 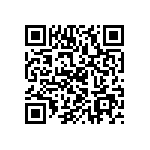 Use YouTube Capture (with the Gmail account userID and password shared in the workshop) to upload your video to our iPad Media Camp YouTube channel! Be sure to set visibility to PUBLIC. 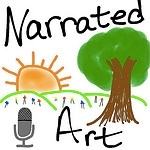 Adobe Voice is a free iPad app for creating narrated slideshows. 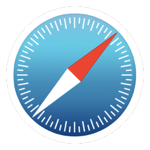 It includes a variety of free icons and images to use, or you can use your own. These introductory videos highlight the basics of using Adobe Voice. 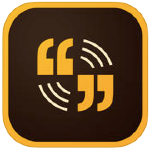 Use the free app Adobe Voice to create a narrated slideshow about a topic of your choice. If you are not sure about a topic, discuss the "Cantilever Span Challenge" project. Visit our class blog (ipadmediacamp.blogspot.com.) Watch and leave a comment for at least 1 other classmate / workshop participant. True "flipping the classroom" should not just mean the TEACHER creating videos for students to use, but STUDENTS creating videos to explain / teach / demonstrate!